First it was New York. Now the Attorney General in Illinois says daily fantasy sports betting is illegal. If it holds, the legal opinion issued Wednesday night would mean that FanDuel and DraftKings will need to stop accepting bets in the state. "It is my opinion that daily fantasy sports contests constitute illegal gambling under Illinois law," wrote Lisa Madigan, the state's Attorney General. The ruling could spark a legal battle similar to the one already underway in New York State, where New York's Attorney General Eric Schneiderman has also moved to ban the games. But Schneiderman's order has been put on hold while FanDuel and DraftKings challenge the decision. 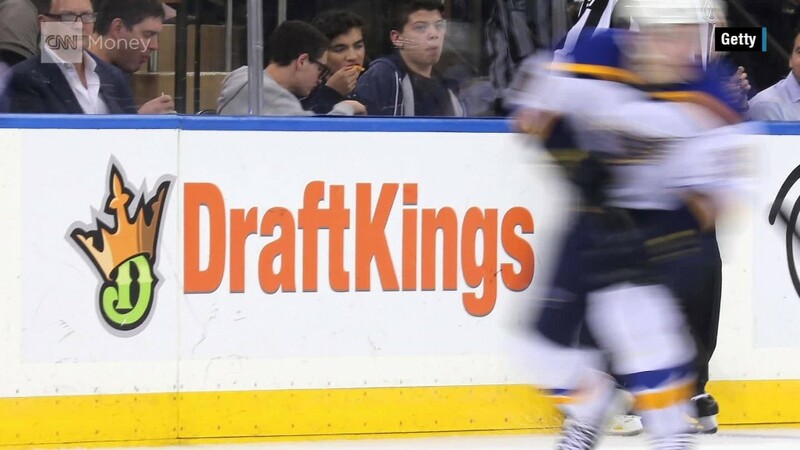 DraftKings will quickly seek court action to allow fantasy sports to continue in Illinois according to David Boies, attorney for the site. Both DraftKings and FanDuel also said they hope the Illinois legislature will act to overturn Madigan's decision. "We look forward to working with lawmakers ... who wish to enact thoughtful and common-sense legislation that protects consumers' rights to compete, while also adopting appropriate consumer protections," said Boies. Legislation has been introduced in Illinois to make fantasy sports legal there. "Chicago may be the best sports town in the country. It's a city -- and Illinois is a state -- that plays fantasy sports like almost no other," said FanDuel's statement. "So why the Attorney General would tell her 13.5 million constituents they can't play fantasy sports anymore as they know it is beyond us." Fantasy sports are specifically defined as legal in federal law that prohibits other forms of online gambling. But states are allowed to regulate or prohibit gambling that is allowed under federal law. In fantasy sports, players wager money by picking virtual teams of professional athletes. Winners and prizes are determined by the performance of those players in actual games played. Typically the games were played based on a sport's full season. DraftKings and FanDuel offer daily or weekly games, and they use a large number of players to generate the entry fees needed to award big-dollar prizes. The sites had expected to award billions of dollars in prizes this year, and had attracted hundreds of millions in investment dollars from Major League Baseball, the NBA, NHL and several NFL owners, as well as major media companies including Time Warner, owner of CNN. They had used those investor dollars to flood the airwaves with their ads. But their success and visibility have also caused states to start to look at reining in the games.